Silvina is been a papercutter for 8 years, she has been published in several books about Paper Cutting and did several paper illustration for publications. She is an illustrator and graphic designer, papercutter and very experienced teacher, excited to pass on these skills to other makers. Silvina was excellent, the setting was lovely, and I got to spend a morning creating a beautiful piece of art. She also brought along delicious cakes and tea, and was well prepared for any mistakes we were all making. Highly recommended! A fantastic afternoon spent with Silvina cutting paper shapes and learning how to mount them in a 'shadow box.' Would love to do more in due course! I enjoyed Silvina’s workshop so much! The way she gives you prepared items to cut, but also encourages and supports you to add your own ideas is fantastic. She’ll help with technical advice on structure, and aesthetic on colour choices and layout if you need. I cane away with something truly unique and precious. Not to mention how Zen the experience is - very easy way to lose yourself for a few hours! The papercutting workshop Silvina ran was fantastic. She created a relaxed and informal atmosphere for us to explore new papercutting techniques and was just the right amount of attentive without being overbearing. I loved it. My one piece of advice to get the best out of the workshop would be to think about what you want to create before hand. The time went so quickly... I was pleased I had an idea in mind. Would thoroughly recommend. 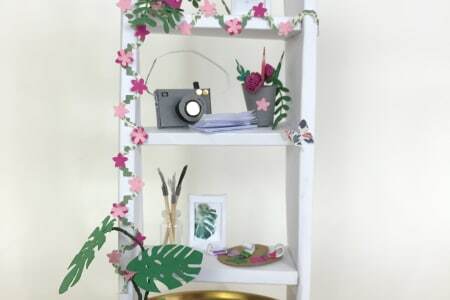 We learnt how to make a miniature botanical scene - I chose to make a replica of my home studio. It was really fun and I'm so happy with the results! Silvina is an amazing teacher who certainly knows her papercutting! She gave us gentle guidance when we needed it, but also encouraged us to use our own creativity and ideas to create a truly unique piece. We had the workshop in Silvina's lovely studio with lots of tea, coffee and cake. Working in a small group gave us loads of opportunity to get feedback, bounce ideas off each other and make new friends too :) Highly recommend! I learnt how to create 3d images out of paper in a fun and relaxed class. The teacher was incredibly knowledge and friendly. 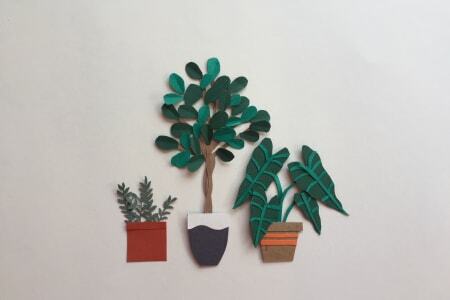 We Silvina's help we could make anything that we could imagine into a 3D paper masterpiece. The final product was completely personal and bespoke - we didn't just have to follow templates, although these were available. I would recommend a class with Silvina to anybody and everybody, and the 'cherry on the cake' of her classes is that there is tea and cake! Perfect way to spend an afternoon. This was three hours of fun and we all came away with a very personal work of art. 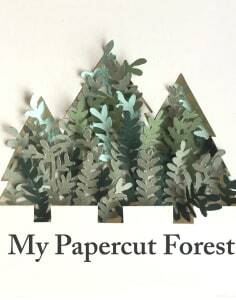 I would recommend this course to anyone interested in paper crafts. Will be attending another course with Silvina in the future. This was such a great session, Silvina was a brilliant host. She was supportive, fun and the time flew by! So pleased with what we achieved and learned. Highly recommend having a go at this. Such a fantastic workshop, I found it really inspiring, relaxing and enjoyable. Silvina taught us how to cut beautiful botanical shapes out to make our own pieces of botanical art. The classes were very well prepared for, Silvina was friendly and a great teacher and we were all very proud of our work at the end. The class was held in the Greenhouse conservatory at Emmaus Brighton which is the perfect location for crafting. We would highly recommend Silvina as a teacher and look forward to more of her classes in the future. Silvia is a wonderful teacher who is a master at what she does. With her guidance I made a beautiful 2D paper picture of plants which hangs on my wall with pride. Silvina brings templates and can help you make bespoke designs too. Her classes are relaxed and fun and there is tea and cake! Perfect way to spend some time!